Robert Snyder, national chess master and noted teacher, introduces this timeless game to the young beginner. Snyder teaches the basic principles and then builds on students’ knowledge, giving clear instructions on how to choose and employ opening, middle and endgame strategies to win. 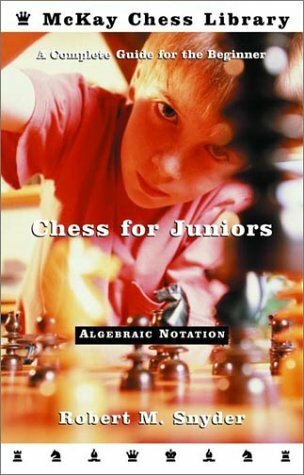 In 20 graduated lessons, with over 275 diagrams, Chess for Juniors covers basic rules, check, checkmate and castling, openings, basic endgame strategy, tactics like the “hanging piece”, the fork and the pin and much more!